An intimate, essential biography of the man who broke the Hollywood blacklist. A central figure in the Hollywood Ten and one of the most successful screenwriters in Hollywood history, two of Trumbo's screenplays earned Oscars (Roman Holiday and The Brave Ones) while he was blacklisted and unable to receive public credit for his work. 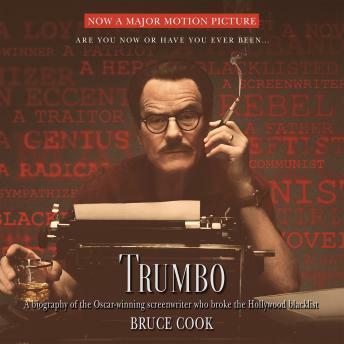 Trumbo was also the author of Johnny Got His Gun, winner of the National Book Award and one of the most powerful anti-war novels ever published. He epitomized the spirit of American Capitalism, yet he went to jail refusing to talk about his membership in the communist party. As a result of his relentless fight for political freedom and the right to work for those blacklisted by the House Un-American Activities Committee beginning in 1947, he ended the blacklist era in 1960 by earning proper screen credit for his work the blockbuster films Exodus Spartacus. An extraordinary complex character, he was, as author Bruce Cook states, an exemplar of a certain set of American virtues: toughness, independence and persistence.